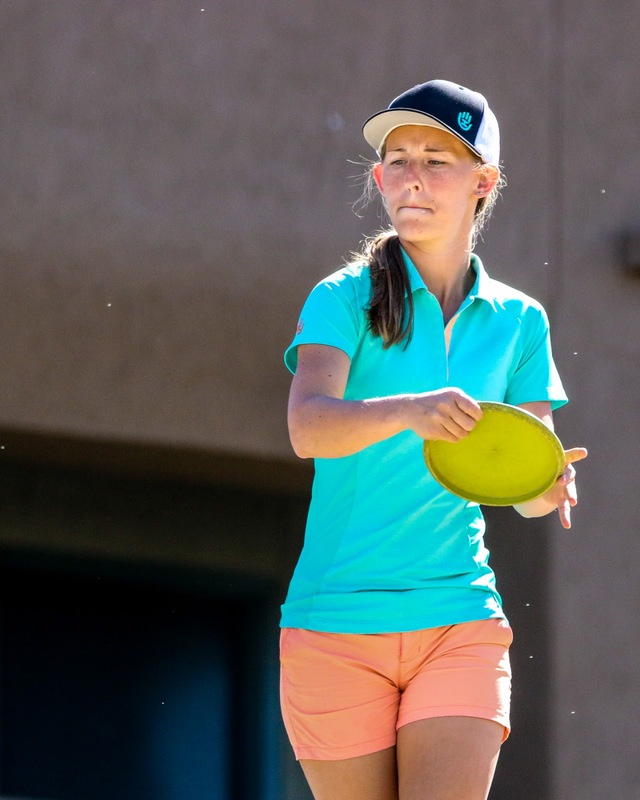 When you watch multiple time World Champion Paige Pierce throw a disc off the tee box, it tends to make your jaw drop. Not only is she incredibly accurate and does she get an immense amount of distance despite her small frame, but her form and timing is immaculate. It’s one of the most common topics she gets asked about during clinics, and for good reason - hers is on point! This DD Women’s Series obviously focuses on Paige Pierce, and over the next four weeks, we’re going to talk about a variety of elements that she finds valuable for any female disc golfer to consider. From mental to physical aspects of the game, we’ll get an idea of how Paige has found so much success and what tips might help ladies who are looking to improve upon their skills. Paige has had a lot of years to work on dialing in her form, as she started disc golfing with her dad at the young age of 4. Back then, she tried to mirror everything he and his friends did when it came to throwing discs, and she did a pretty good job holding her own out there. Once she started getting old enough to really put a more concentrated focus on her game, she did start to notice that things needed to change. “A lot of it I learned from my dad and I kind of tweaked it on my own over time. Women move a little bit differently, so I couldn’t exactly replicate my dad’s form - it wouldn’t work for me,” says Pierce. While her dad gave her the basics, she modified several things, especially how long her runup is on the tee box. Another point of focus for her as she developed her form? “Keeping my arm as flat as possible in every aspect of the throw,” she described. For Paige, her success revolves around two main components: timing and keeping everything as flat as possible. By honing in on these elements, she eventually found a technique that worked just right for her. So many players, men and women alike, focus on their form and try to get their body movements perfect in order to execute consistently. However, Pierce notes that having proper form is only part of the story because knowing what you’re throwing is equally important. Going from a good player to a great player, in her eyes, is being confident with disc and shot selection. Her take on discs? “Once you think you’ve learned them, keep learning. 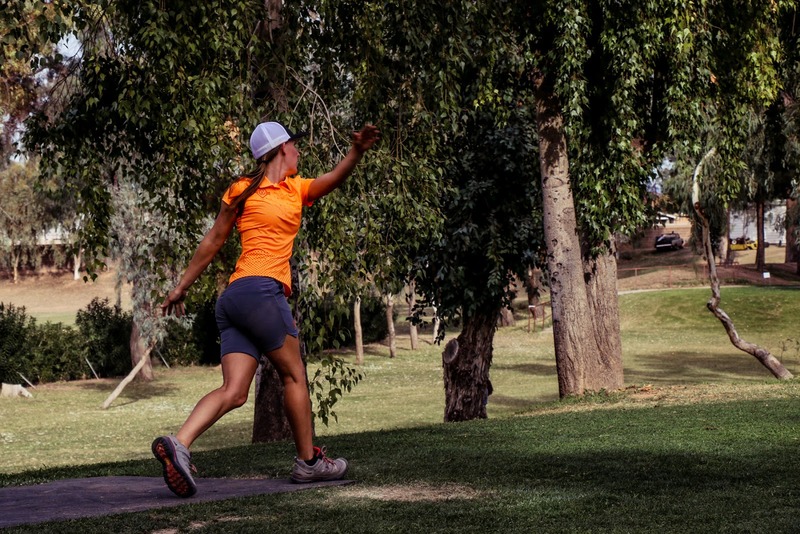 You can never be perfect, and the more you know your discs the better you’re going to be.” The confidence this knowledge imparts to your game can be especially helpful during the middle of a round. If Paige says her throw feels a bit off, she amps up her confidence level to make a noticeable difference. Stay tuned for Part 2 where we go even deeper with Paige into tips specifically geared toward women when they’re executing a distance drive.